Here’s the deal: your business benefits when you share a little something about yourself. When you inject snippets of your personal story into your writing, whether it be blog posts, emails, your About Me page, or social media, you invite readers in. You create likeability and trust. And it isn’t that hard and it isn’t that intrusive. I promise. And then there’s the opposite, the people who decide not to share bits of themselves at all. And so they write robotic posts that could have come from anywhere and anyone. They could have come from an overseas content mill or from the 1,000 other sites that focus on what yours focuses on. I get it. This is often the fear response: you’re afraid you have nothing to say, or you’re boring, or you’re going to come off the wrong way. I’m going to address that last one here. 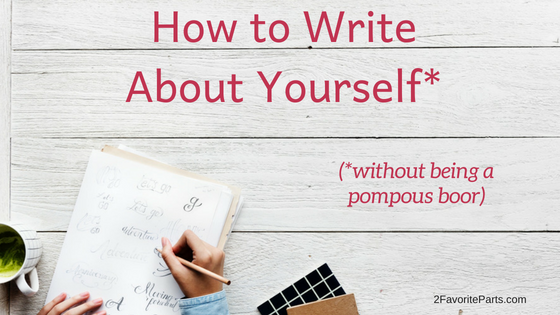 It’s true: when you write about yourself, you run the risk of sounding like a pompous boor. But you know what? It’s a pretty easy fix. And you CAN write about yourself in a way that readers will want to hang out with you. Just remember these two Rs: relevant and relaxed. 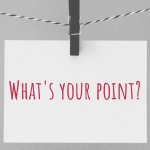 Your story needs to be relevant, and/or it needs to be used to help the reader relax. Relevance is where most people swing and miss. 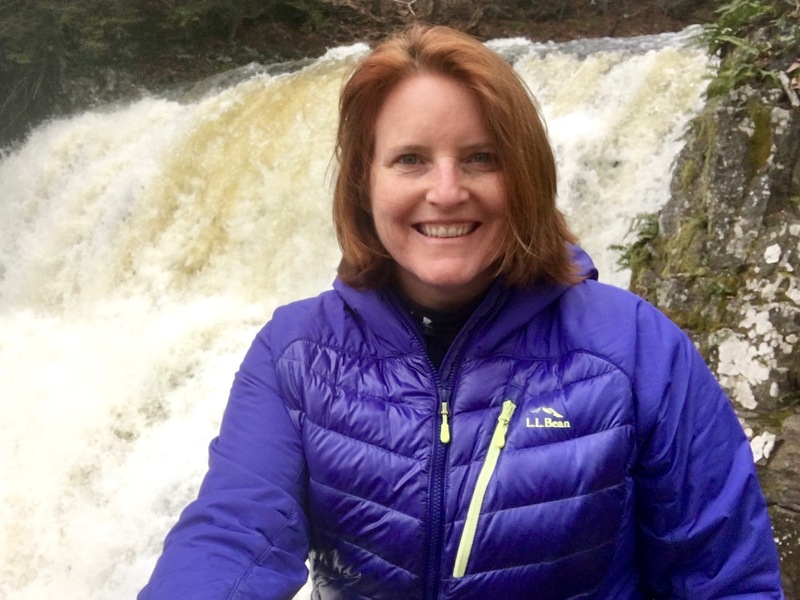 They tell personal stories that have no direction and where the reader has trouble connecting A to B — as in, Anecdote to Business. And a confused or bored reader is outta there. Non-relevance is when you risk coming off as the person who just wants to talk about themselves at the dinner party. Don’t be that guy. When your story has relevance to your business, you’ve included the reader. You’ve given them a voice where they wouldn’t otherwise have one by showing you are courteous enough to think about their needs. And their biggest need? To know what the heck anything has to do with anything. Your personal story should tie into your business somehow. Even those seemingly random tidbits? They serve a purpose. Either you figure out how to connect them to your business (and/or your mission), or you use them to add relatability and connection (see the second R, relax). So when you write that blog post or that email, think about the purpose behind your stories. Think about it the most when you edit; feel free to write anything at all in your first draft so you can keep your flow. But be brutal when you go back and edit. What’s the point of the anecdote? If you’re a weight loss coach, maybe you have a personal journey that sparked your business idea. Pretty easy tie-in there. Tons of relatability. If you homeschool, you can show bits of your day-to-day to the reader. Yes, they want lesson plans. But isn’t the biggest question really HOW in the world do you do this, and what an average day or week looks like? How to juggle life and schooling? Bring the reader in and show them. Your reason why can be another strong connection. Nearly anyone’s story can be connected to their business, and it’s a small fraction of websites that wouldn’t benefit. Exceptions would be something like an attorney or a doctor’s office, where potential clients are looking for your expertise and experience above all else. At the same time, clients DO want to feel comfortable. And I’m not advising you to share personal stories in EVERY blog post or email, either. Unless you’re a lifestyle blogger, you don’t always have to work in your personal story. Just hand out the recipe already. Tell me how to optimize for SEO and ditch the small talk. The key is to sprinkle them in for interest and context. Isn’t that a relief? You don’t need to share everything, and you don’t need to share all the time. A handful of well-placed stories will do it. 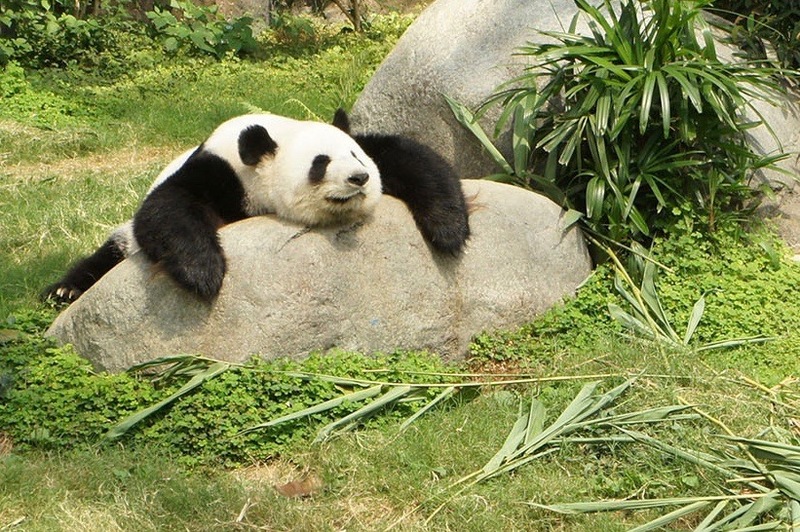 The second thing to remember is that your personal story should help readers relax. If they’re relaxed, they trust you. They want to spend time with you. They want to spend money with you. This is where the seemingly random tidbits fit in. Sometimes your quirky little stories are just icebreakers. A little background or a little insight into your life. You’ve opened the door and invited the reader in. We like to see the behind-the-scenes, regardless of topic or business. Richard Branson, the founder of Virgin Atlantic, doesn’t need to share photos of himself with his mother or of himself surfing. But a big part of his branding is his attitude and his lifestyle, so the stories shore that up. Bill Gates shares family photos as well. It resonates with his stated mission. Local breweries will usually share stories about the brewing process. They don’t just tout the deliciousness of the end product; they bring you along for the ride. How can you bring the reader along? Can you share some behind-the-scenes stories and photos? Can you allow for an admission of a struggle, and ask for help? It can be small, as in the search for a book title or asking what graphic they like best. Or it can be bigger. Your choice. Again, the key is to keep it succinct. The reader probably won’t keep scrolling down the page unless the story is fascinating. And that’s too much pressure. On average, try to keep your anecdotes to a few paragraphs at most, then rein it in. Get back to business. Anyone in any industry can and should share some personal stories. And one place they often miss, ironically, is on the About Me page. Have you struggled with this one, staring at a blank screen and wondering what to write? 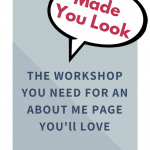 The About Me page is one of the most important pages on your website, the one where potential readers and clients come when they want to know whether to spend more time — and money — with you. 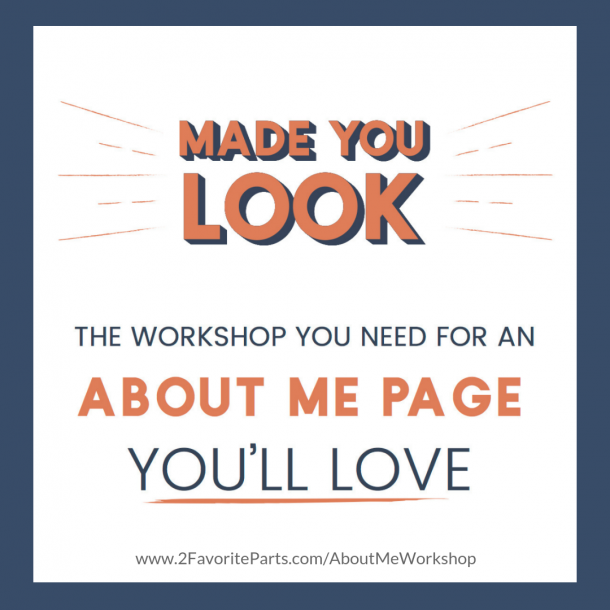 In “Made You Look: The workshop you need for an About Me page you’ll love,” you’ll learn the must-haves and then how to add detail that will make you stand out. It includes dozens of prompts in six worksheets, including an outline at the end to help you tie it all together. In a world where no idea is new, the way to distinguish yourself is by being the most relatable. The way to build loyalty is with story. You’ve got this!